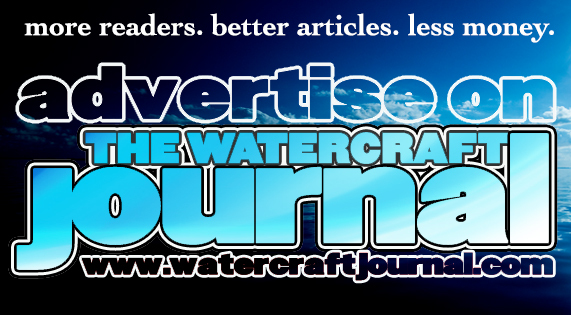 2019 Hydro-Turf HydroDrag Nationals Partners with Powerboat Nationals | The Watercraft Journal | the best resource for JetSki, WaveRunner, and SeaDoo enthusiasts and most popular Personal WaterCraft site in the world! 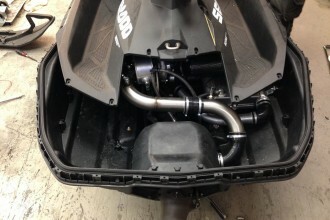 IJSBA shared some exciting news from Florida and even Ohio! Mike Young’s Surf and Turf Promotions has partnered with Powerboat Nationals to bring three weekends of PWC Competition to Tavares,FL. 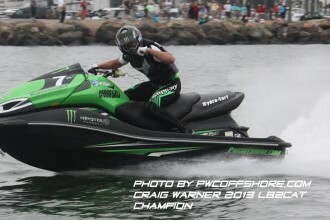 This year’s event will not only feature HydroDrag Racing, Sparks, Sport Class; other watercraft will soon be announced. 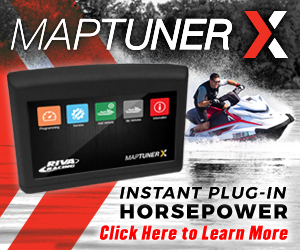 Partering with Powerboat Nationals is a great way to grow the sport of watercraft racing. 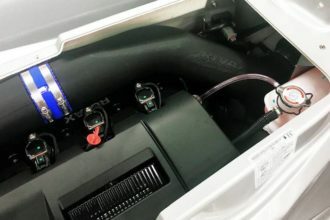 The partnership will generate more interest in watercraft racing since many different machines will be on display and in the water. This in turn creates more revenue for communities and more fun for spectators. The 10th Annual Hydro-Turf US HydroDrag Nationals and World Championships powered by Yamaha will return to Lake County for four events. These begin April 6 and will feature the “World’s Fastest Race on Water.” This event runs for two days and is sanctioned by the IJSBA of Half Moon Bay,CA. The HydroDrags feature a one of a kind launch pad and it will be set up directly behind Kalua Beach Bar. Five classes of HydroDrag Racing will be entered. 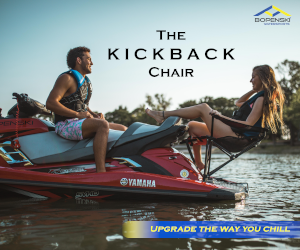 These classes include Pro Stock Sea-Doo, Pro Stock Yamaha, Spec, Superstock, and Unlimited. Stock and Spec Classes run on Saturday and the more modified machines run on Sunday. This is promoter Mike Young’s 32cd year in the industry and the 39th year of organized PWC racing. Young said, ”I enjoyed putting on the races in Tavares so much that I moved here from Bradenton and our relationship with the City of Tavares and Lake County Economic Development is excellent” With that being said, Young said that there will be 3 additional events held on May 18-19, July 18-19, and November 9-10. The May and November events will also feature the Powerboat Nationals Hydro Cross Classes; Sport and Spark, which will bring a lot more people to Lake County for the event as the Powerboat Nationals Series heads to Ohio, Michigan, Tennessee, Wisconsin, and West Virginia! 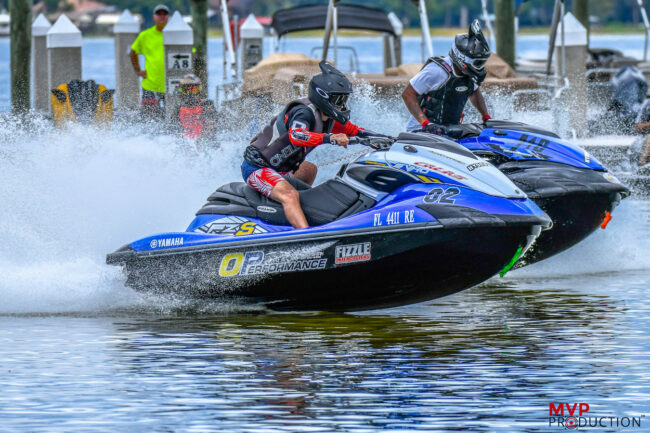 The Series attracts hundreds of racers from all over the U.S. National and local sponsors include Hydro-Turf, Yamaha, City of Tavares, Lake County, RIVA Racing, Greenhulk.net, Tiki West, Key West Resort, Blowsion, Jet Pilot, IJSBA, pipmthatride.com, 4-Tec Performance, Team Mean, MVP Production, and Jet Ski Daily. The events run from 9am to 4pm and are free for Lake County residents to attend. Non-residents can purchase a pit pass for $10. Surf and Turf Promotions has more information available on its website. Bleachers will be provided, however, attendees are urged to bring their own seats and ear protection because it’s going to get loud! Free parking is available at the Tavares City parking deck. This is a family-friendly event with a high energy vibe. Prepare to have fun! Drag Racing, Freestylye, and Closed Course racing will be on display. Plenty of vendors will be on site and many restaurants are within walking distance. Uva Perez from U-Jet is the current holder of the World Speed Record in the Unlimited Class. The record happened in 2017 on Lake Dora and it was an impressive 127.7MPH! Are you ready Tavares? The 2019 Hydro-Turf US Drag Nationals and World Championships are coming back to town and they’re going to be bigger than ever!